New Yoga Studio in the Works!!! I am happy to announce that we broke ground on the building which will house my new yoga studio last week. I will have the 3rd floor space at the tree line on the Coba Road (the main road that links the beach to the Pueblo) in Tulum. I am building with Alex Alvarez of Acuatic Tulum Dive Center. 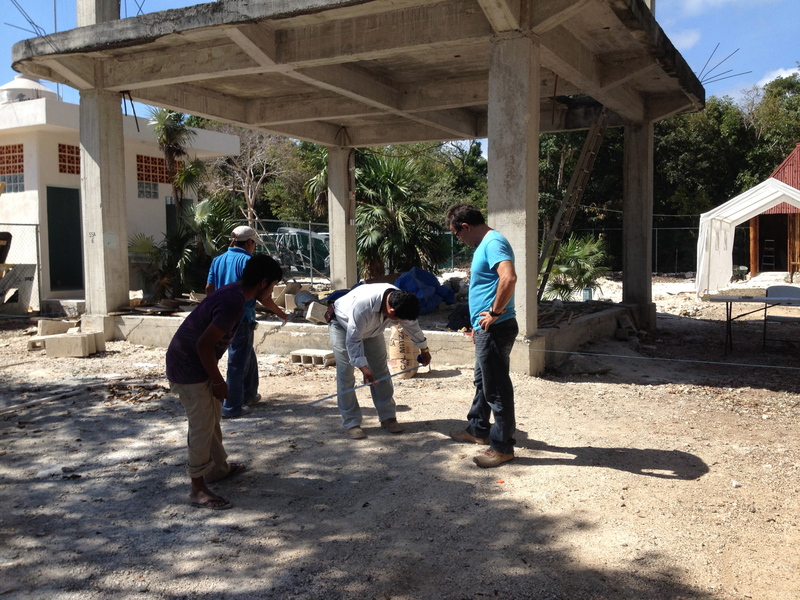 He is managing the construction project and will have the ground floor for his new Acuatic Tulum Dive Center. The building is on the bike path and is an easy ride or drive or even walk from most parts of Tulum. This studio will provide a link between the town and the beach in terms of yoga space. I will incorporate an apartment on the third floor so that visiting teachers can stay right next to the studio. I don’t have a name yet so any suggestions are welcome. But I have the spirit and some fabulous ideas for workshops and teachers.